Top Speed has been preparing a Nissan GT-R for the One Lap of America event for 2011. 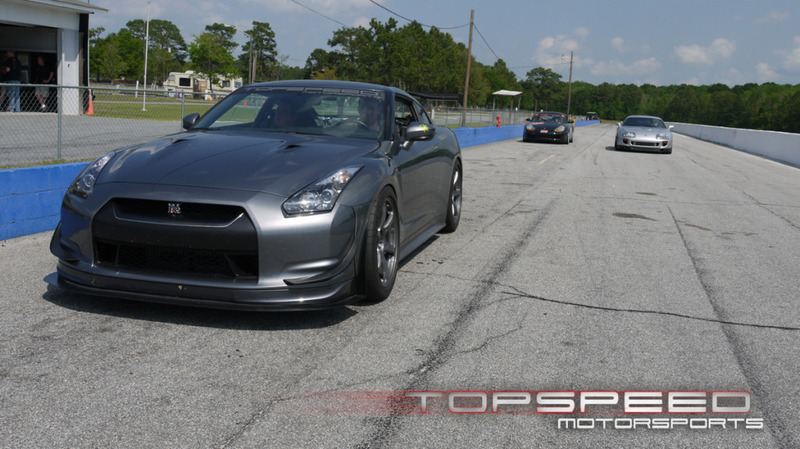 Last year, with Leh Keen at the helm, they finished 1st overall in a prepared Porsche GT2, 2nd place was a Nissan GT-R. 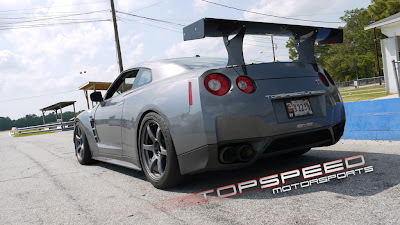 In 2009, a Nissan GT-R won overall. Feeling the Nissan GT-R's breathing down the back of the Porsches, Top Speed and Keen decided to go the Godzilla route, and have been testing over the last couple of months. The latest upgrades to the car include power in the form of an AMS Alpha 9 kit, and suspension upgrades in the form of STILLEN 3 way adjustable front, and 5 way adjustable rear sway bars. Leh's best time was a 1:14.7 which is incredibly quick at this track. The amazing part about that time, is the winning Porsche GT2 from last year ran a 1:16 in One Lap trim, and the GT-R is on 300 treadwear Michelin PSS tires. Good luck to Top Speed. The One Lap of America starts April 29th, and runs until May 7th. The full schedule is here. With the car mapped and ready to rock in the power department thanks to the AMS Alpha 9 parts, it was time to install the much needed Stillen Sway bars. The Stillen bars were a very easy install and came coated in a nice silver color with true Aurora bearing endlinks. Not some cheap china-bay bearings that wear and start clunking after a few hundred miles. I would expect nothing less coming from a company with such a huge background in motorsports. For base settings on the bars we started out with the front on full stiff and the rear full soft. This would give us a 38% increase in the front and 67% in the rear. With that in mind right out of the Box the new sways bars were AMAZING.. those bars with the KW sleeves provides the perfect balance for a square setup GTR. Very neutral... yup neutral.. something that is apparently unheard of with the horrible roll center the front of the car has. One thing that we noticed about this combination of Stillen bars and kw's is that adjustments to the front bar made a noticeable change in the chassis. Full stiff on the front bar and the car had a bit more mid corner push... full soft and it transitioned to a looser mid corner condition. But the middle setting on the front bar with the full soft setting on the rear was just right. This gave the car a neutral balance while still allowing the car to power down on corner exit.